Feel like home in Ithaca. The mythical island of outstanding natural beauty. Our holiday apartments are located in the South-East side of Ithaca, Greece, within a rural area with vines and olive trees, very close to Kaminia, a quiet beach with outstanding natural beauty. Ten minutes away from the capital (Vathy), Villa Pandora villa is a holiday residence that combines the beauty of the Ionian islands with Ithaca’s traditional Greek character. 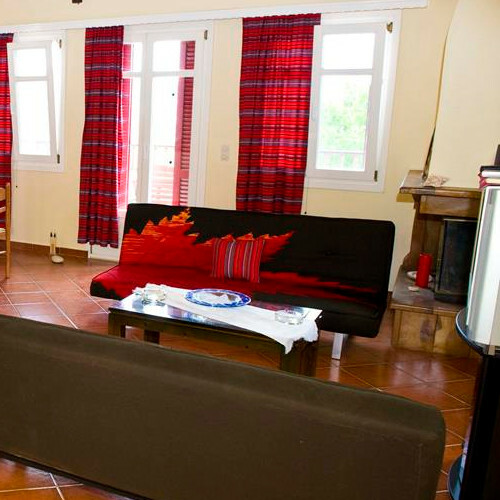 *The 1st Floor Apartment has dish and clothes washing machines, a DVD set and a fireplace.